Aubrey Drake Graham, or simply Drake, has been one of the most popular rappers for almost a decade now. 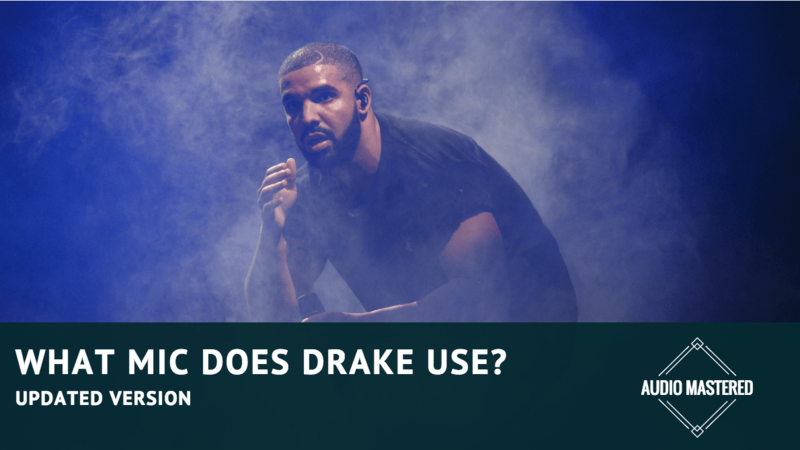 Note: This post has been updated for February 2019 - it includes all of the mics used by Drake. Enjoy! Starting as an actor on a teenage TV show called Degrassi: The Next Generation back in the early 2000s, Drake started his career in show business. However, after 7 years on the show, he decided to focus more on his musical career and started it by publishing his debut mixtape named Room for Improvement. Over the next 10 years, Drake released 4 albums, as well as an EP and 3 commercial mixtapes. With millions of fans worldwide, it’s safe to say that he managed to break through the oversaturated music market with his original implementations of different genres such as rap, R&B, and dancehall. He collaborated with stars such as Rihanna, Big Sean, Kanye West, and many more. Each song that he featured in was a well-received hit, both by the audience and critics. What Mic Does Drake use? Noah ‘40’ Shebib, a well-known hip-hop producer and engineer talks about the equipment that he and Drake used for recording his albums in this video (at 16:48). You can also read about his equipment chain in this article from SoundOnSound. Let's take a look at each mic. Power Supply for C-800G Studio Microphone. Dimensions: 8 1/2" x 4 1/2" x 12 1/2"
The C-800G is an incredible microphone and has become a favorite among professional recording artists. It's know for having huge bass (especially in cardioid) with sparkly high end. The sound is almost perfect. The Sony C800G has become a staple in popular contemporary music since the early 90's. Most notably gaining popularity while being used on classic recordings by Mariah Carey, Boyz II Men, Usher, Michael Jackson, etc. It's originally known for its sound on R&B records and has since moved into fame in hip-hop vocals. It's also the preferred mic for lil Wayne. This microphone on the right source is nothing short of amazing, and can sound great on almost any source if you're experienced with working a mic. The sound profile is different with each polar pattern. The cardioid is beefier with heavy low end and is sensitive to proximity effect. While in omni the mic seems to become more neutral with the high end becoming more detailed with less sensitivity to proximity. The microphone is great for male/female singers as well as rappers. 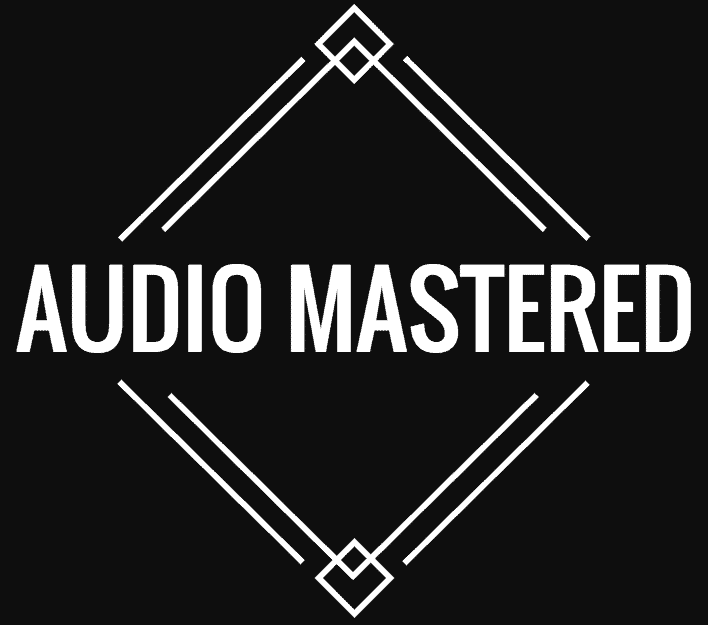 It's used on a ton of hit songs and has become an industry standard. The price is ridiculously high, but well worth it if you have a critical session with a talented singer. A big diaphragm allows the microphone to perform with much less noise than small diaphragm ones. Basically, when no sound is present around the mic, you can barely hear the hum of the circuit inside. This produces recordings that are much cleaner before editing and mixing. The fact that it’s a condenser mic and not a dynamic one gives you the ability to work with and record much more audio detail. Sure, dynamic microphones offer a wider range in terms of volume, but in a proper studio environment, the discreet details mean much more than volume. When it comes to recording vocals, a cardioid polar pattern is the way to go. This type of microphones focuses only on the audio coming from a single angle, while the rest gets cancelled out. The TLM 103 is known for offering excellent noise rejection of any unwanted sounds. While the 20Hz to 20kHz frequency range is pretty common amongst microphones, the fact that the TLM 103 offers a truly flat frequency response makes it perform so nicely. This way, the vocals you record are capture as they are, they sound natural, and make room for any processing in the mixing and production phase. With amazing feedback suppression features, this microphone can be easily used for live performances as well as recording in the studio. So, how much does it cost? Well, let’s just say that it’s somewhere under $1500. It’s pretty obvious that the TLM 103 is meant for either professionals or semi-professionals looking for a top-notch mic. Whether it’s for recording vocals in the studio, simple home recording sessions, or professional broadcasting, the TLM 103 while expensive, is as good as it gets in this price range. Bottom Line: Buy if you have the means and want the best on the market. This microphone has been used on thousands of recordings all over the world. It is a studio standard. The SM-57 is often regarded as a mic locker staple. This rugged mic has the distinction of being one of the most recorded mics since 1965 making it one of the most iconic mics ever made. The excellent off axis rejection of this mic makes it a popular choice for instrument recording in the studio and live vocal work. The best part is it's incredibly easy to use. It's just so forgiving. This mic is dynamic cardioid microphone that can withstand high spl's without distorting. Most popular uses are for them are snare drums which are pretty much the standard for recording snares and guitar cabs. Additionally, it's always been used with high-powered vocals - or if your primary mic just isn't working with the vocalist. The best part is - it's only $100! You can't beat that. If this is all you can afford you won't go wrong with this studio mic. 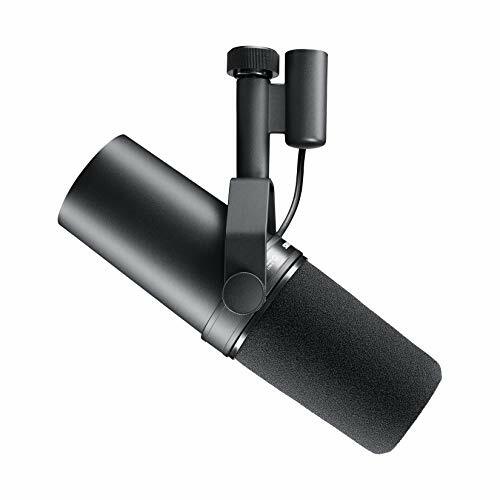 Bottom Line: Incredible value for the price - one of the most liked microphones in the recording studio community. But let’s say you’re looking for the best microphone for recording vocals, but just don’t have that much money to spend. A great alternative to the TLM 103 which won’t burn a hole in your pocket is the Shure SM7B. 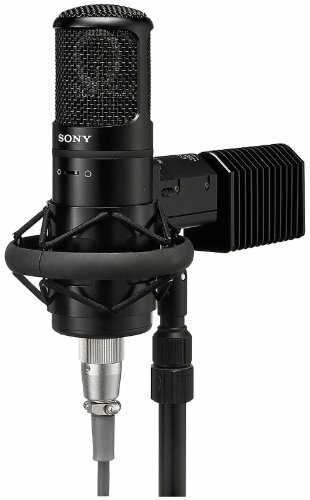 It's know for being one of the best microphones for hip-hop vocals. As a part of the well-known SM family, the SM7B offers amazing build quality and performance, much like the rest of the models from this lineup. Unlike the SM57 and 58, the 7B focuses on vocal recordings and has been used by artists such as Serj Tankian, Michael Jackson, and Sheryl Crow. 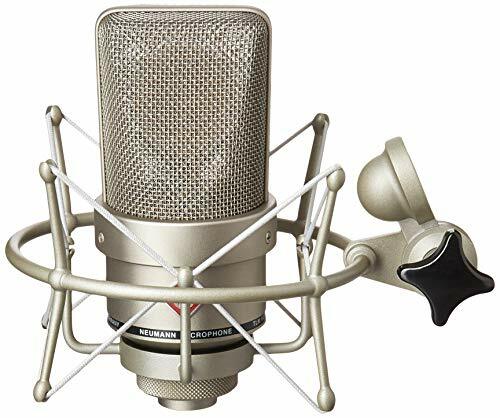 What’s really great about this microphone is its ability to accurately pick up naturally portray deeper vocals, which makes it great for rap as well as heavier genres such as rock and metal. The SM7B is a dynamic microphone, unlike the TLM 103. However, users often compare the features and audio characteristics of the 7B to condenser models that generally cost more. No matter how loud you blast your lyrics, this mic will pick them up, with little to no distortion. Included with the SM7B are a pop filter as well as a mount. 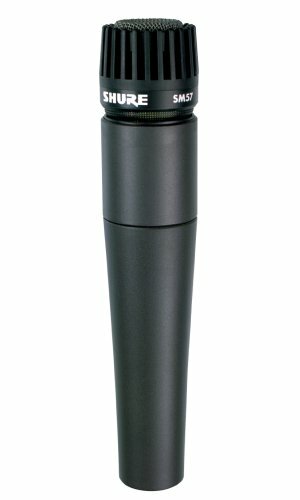 The SM7B by Shure is basically the best you can get if you’re on a relatively tight budget. So, what are your thoughts? Would you rather go for the Neumann TLM103 or the Shure SM7B? Are you an aspiring singer/studio engineer that is looking for the best bang for the buck, or a top-notch professional microphone? Whatever the case might be, I truly hope that you found this article informative and that it helped you in finding the right mic for your needs. Thank you very much for reading, and I’ll catch you in the next one!